Shelley emphasizes that the most important element to our work, even to this day, is the strength of our strategies, not the platforms we use. This is an especially important message for those who’ve become reliant on social media, since Bernays and Lee managed to conduct wildly successful campaigns with just a phone, mail and carbon paper. We dedicate this interview to all PR colleagues around the globe willing to explore the evolution of public relations and the ways the field of public relations has shaped our history. Because we strongly believe that every practitioner should get a sense of the beginnings to better understand this field. Dear Shelley, how much of yourself is in the 20th year’s history of the Museum of Public Relations in NYC? But seriously, the way the Museum is set up does reflect my own views of what public relations is all about. And those views were very much influenced by my conversations with Bernays over a ten year period beginning 1985. It was Bernays, after all, who had the idea of creating a Museum of PR in the first place. (That’s a story for another day.) Because Bernays defined the profession as an “applied social science”, I felt this was a very important fact to impress upon the students, since this is generally not taught in college. Thus, we have an entire shelf of books from Bernays’ own library written by early twentieth century social psychologists -- like Gustave LeBon, Wilfred Trotter and Gabriel Tarde, and of course, Sigmund Freud. All these people influenced how Bernays’ practiced and wrote about public relations, starting from 1923 with “Crystallizing Public Opinion”. To what extent has the story of the museum shaped your personal and professional beliefs? For the last few years, I’ve become very interested in the role PR has played in shaping history. In fact, I co-wrote a book and teach a grad course on it. So naturally, I wanted to make the Museum as much about PR’s impact on history as the history of the field itself. So we have on display materials about civil rights, women’s liberation, public health, labor safety, and even the founding of the United States. These photos, artifacts, old newspapers and speeches tell the story of PR in a more social, non-business context. It gives students a different and broader way to understand the field, and shows how PR thinking and actions can be used for a positive social purpose. We call it “Public Relations for the Public Good”. When you look at the strategies of social and political activists through history you see campaigns that look very much like the PR we do today. Like us they had to create strategies, and messaging and tactics. But instead of using Snapchat and Twitter, the activists used soapboxes and pamphlets. But of course, the anti-slavery activists and founders of the U.S. all had a great deal of opposition to their causes. What do visitors to the museum find the most striking? Students today can’t imagine life before the internet, much less, how PR people used to function without it. To help students appreciate those early days of the field, we allow them to interact with actual devices from the early 1900s: a candlestick phone, manual typewriter, AP tear sheets and a telegraph. We also have stereographs, old cameras and even one of the light bulbs used to celebrate Lights Golden Jubilee in 1929. Students love taking selfies with that light bulb! How much does your own experience in PR come into play in your lectures? As one who managed to work in the days of typewriters and telefax, I can talk from first-hand experience. I emphasize that the most important element to our work, even to this day, is the strength of our strategies, not the platforms we use - an especially important message for those who’ve become reliant on social media, since Bernays and Lee managed to conduct wildly successful campaigns with just a phone, mail and carbon paper. I know that the project is an outgrowth of your personal relationship with the pioneer of public relations, Edward L. Bernays. Can you share with us some precious memories of Bernays? The first time we went up to Cambridge, Massachusetts to tape Eddie, in 1986, he told us he had never before seen himself on TV. So after the taping, and because he didn’t have a VCR, we went to an electronics store to let him see the tape. When the store manager put our cassette in, the tape not only played on one TV, but on nearly a hundred TV sets around the store. He was absolutely amazed! The look on his face was precious. He had no idea such technology existed. Maybe even more precious was in fall 1987, when I asked Eddie to hold my two-month-old daughter, while I went downstairs to fetch her bottle. She was hysterical when I left her. But when I came back, she was fast asleep, curled up in his arms. He was singing a very sweet old lullaby to her. It was a lullaby, he said, his own mother had sung to him nearly 100 years before. How was a ‘fireside chat’ with Eddie Bernays like? Which were his concerns and hopes about the field? Are some of them still relevant today? He used to complain all the time how “any nitwit, flack or press agent can call themselves a public relations person today”. The misuse of the phrase, especially to mean “publicity” was quite aggravating to him. The professional stature he originally tried to establish for the field had been greatly diminished over the years. The fact that he first defined it as an “applied social science” had become completely lost. He even campaigned for public relations people to become licensed in order to practice (as they are in some countries). All the footage of Bernays was shot by you and your husband. What was the main drive for this huge documentation effort? Our first meeting was over sushi at the Waldorf (once his client) in 1985. The stories he told - from working with Pres. Coolidge to counseling Eleanor Roosevelt - were so amazing we knew we had to capture it on camera. Surprisingly, he had never before been interviewed on film or video. When he invited us to his home, we made videos of him telling the now-famous stories of “Lights Golden Jubilee,” “Ivory Soap,” and “Bacon and Eggs”. These campaigns were so well told, so strategic and compelling, that I knew I had to show these to the rest of the PR community. I traveled all over the country with these videos for many years, using them to demonstrate the value of “Big Ideas.” I still use them in my lectures at the museum today. And so do thousands of classes around the world, who download them from the museum website, 30 years later. 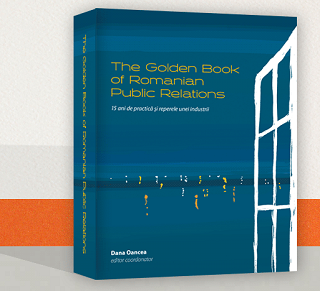 The father of public relations was convinced that public relations is an applied social science. How close or how far away is the current practice from this conviction? Students in the U.S. no longer learn that PR is an applied social science. They’ve gotten so far away from that definition that when I mention it to them at the Museum—and show them all the behavioral science books we have from Bernays’s own library - they are shocked. And, I must say, pleasantly so. It begins to make a lot of sense to them when they hear about Torches of Freedom—how in the 20s, Bernays went to Dr. A. A. Brill (a Freud disciple) to ask what cigarettes mean to women. “They symbolize man’s inhumanity to women.” Thus, cigarettes became a symbol of emancipation. Bernays was inspired by Freud to study people’s subconscious inclinations, and then build programs to appeal to their inner desires. We hear more and more discussions about the professional status of public relations and the need to advance the field to a profession status. In the 80s Bernays wanted licensing PR practitioners. 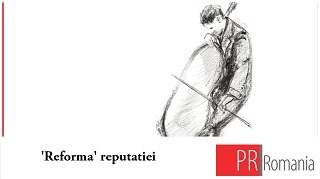 Do you see some common patterns in the old and the new discussions about professionalization? The closest thing we have is APR – accreditation from PRSA—which is widely accepted. However, accreditation measures only how well you do on only one test, not how well, or how ethically, you’re performing during your career. There is no mechanism to take away their ability to practice professionally in the field if they are found to violate standard ethical practice along the way. Back to the museum. You have hundreds of books, objects, letters and artifacts in the archives. What are the most interesting ones? Our most recent discovery is the 1948 newsreel film “PR: And that Means You!”. It’s the only film I know of that discusses what the field is all about, and it does it extremely well, albeit a bit dramatically. It even has the world’s only known sound film of Ivy Lee, shot in the early 1930s. Not even Ray Hiebert, his biographer, knew of its existence. Speaking of whom: Ray donated to the Museum his collection of Ivy Lee papers and artifacts. Among the materials, we discovered an unpublished manuscript written by Ivy Lee and his staff in the late 1920s. We are now publishing this book, under the Museum of PR Press imprint. I find your website an impressive resource for anyone studying or working in PR. Do you plan to extend the pool of resources? We have just added a section on prominent black PR pioneers, in honor of the first-ever celebration of Black PR History Month (a tie in with Black History Month). We will also be adding a section on prominent women in PR history. Neither group is adequately covered by textbooks today, so students never get to learn about black and women practitioners who played such an important role in our field. Note *: In 1923, Bernays wrote Crystallizing Public Opinion, the pioneer book on the subject, the first of 14 books on public relations he wrote or edited. Also in 1923, he taught the first public relations course. Through the years, he has advised Presidents of the US from Coolidge through Eisenhower, and figures such Enrico Caruso, Thomas Edison, Eleonor Roosevelt, and Henry Ford. Shelley Spector founded in 1997 the Museum of Public Relations that currently resides at Baruch College/City Univ. of NY. It exhibits rare artifacts, historical documents and photographs and holds nearly 700 public relations books, some more than 100 years old. Its website houses reference materials, an interactive PR timeline and digital versions of historic books, as well as one-of-a-kind video interviews with Edward Bernays, Dan Edelman, Harold Burson, among many others. The museum Facebook page, which features daily educational postings, has more than 7000 followers. It is used as a teaching tool in classrooms around the world. Spector is president of NYC-based Spector & Associates, a b-to-b agency founded in 1991. In its 25 years, the firm has represented dozens of global brands--including AT&T, Bayer Corp., Goldman Sachs, Harris Corp., and ITT Corp.--and has won more than 40 industry awards, including the Gold Quill, Silver Anvil, and SABRE. Prior to founding the firm, she was an account executive for financial services clients at Hill & Knowlton and Ruder Finn. She also was press manager at the American Stock Exchange. Spector is an adjunct professor for the M.A. program in Corporate Communications at Baruch College, currently teaching a course she developed, “From Plato to Twitter: a History of Influence, Media and Public Opinion.” Additionally, she is co-author of “Public Relations for the Public Good: How PR has shaped America’s social movements,” due out in August 2016. Spector is a member of the Arthur Page Society, PRSA, and the Association of Educators in Journalism and Mass Communication. She lives in Millburn, NJ with her husband and business partner, Barry Spector. Together they have two grown children. Interview by Dana Oancea, February 2017. 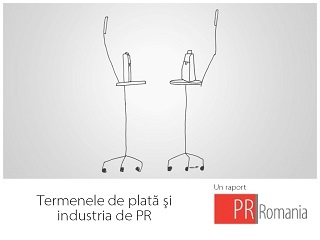 Copyright PR Romania.